Fleet restrictions on gear (2 requisitions per month and no fleet gear for Alts) is preventing me from optimising this character's PvP build. Ideally, I am aiming to make this charater a PvP demon and make it so that H'Val can compete in line with the 12th Fleet. They say that to be the best, you have to learn from the best. I am usually online between 18:00 and 22:30 GMT Monday to Friday and longer at weekends. Though this does vary with RL scheduling. Have you ever played an MMORPG? If so, which one and how long: . Only ever played STO seriously. I have tried Archage (2 weeks) and Star Wars The Old Republic (1 week) but I am focusing on improving H'Val and general PvP skills before branching games. I'm very driven when it comes to OOC logistics and have no problem sitting down and grinding if that's what the fleet needs. I am more than happy to assist in any other fashion and not just take from the fleet. I am truely of the belief that you get out what you put in. Do You agree to the fleets activity Policy? Y/N Yes. Yes, I love to write and post for the 26th fleet forums and have a bit of a creative flair, especially when it comes to mission write-ups, personal logs, etc. Welcome to the forums, thank you for your interest in joining 12th Fleet. I am currently processing your application! Welcome to the 12th fleet forums! 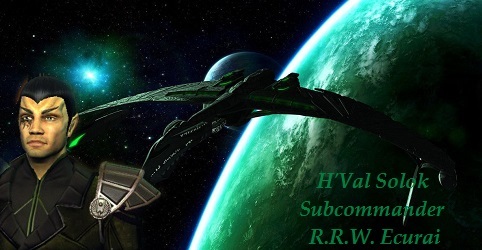 However, before you can be issued your invitation, H'Val will need to resign from 26th Fleet. Please respond in this thread when this is complete so that Tactical Command can issue you your invitation. Welcome! I look forward to continuing our work on your development. I assign you as an Ensign to Gamma (Viper) Squadron under Fleet Captain Pattern. If you haven't already, I recommend you read through our Information Index as it contains information on all our communication channels as well as other important information. You mus reset your avatar to Ensign! You can reset your avatar here, just click on Display gallery and select the Tactical Division and the Ensign avatar. After that submit and you're done. PS H'val, you must quit 26th Fleet before I can send you invite to 12th. Let me know, and I will send the invite. Also, just so you understand, you have to be a member of 12th Fleet for 30 days before you get Fleet store access, but there are no restrictions on purchases after that. Welcome to Tactical and the 12th! H'Val is no longer a member of the 26th fleet and I'm looking forward to my assignment with the 12th. OK Fleet & Chat invites sent! You'll find the fleet invite in your Fleet page. The chat channel is under your chat configuration. You are not quite there on the forum avatar, afraid my instructions were not clear. 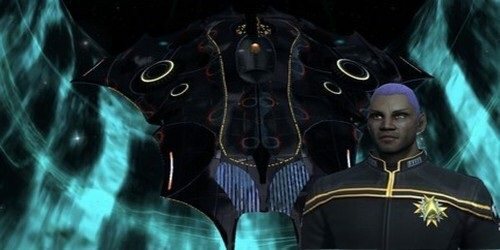 You picked the Tactical command advisor avatar not the Tactical ensign avatar. Reset your avatar here, just click on Display gallery, select the Tactical Division category and the Ensign avatar (first one on the top left). After that press "submit" and you're done.